We have many artists here in Beara, potters, knitters, jam makers and many other skills. We live here out of choice, resolutely refusing to budge for no-one! Please note that when you buy something using PayPal it will say John Eagle Photography in your basket. That is because I own the site. Please be assured that I do pass on the price of the item to the seller as soon is possible. 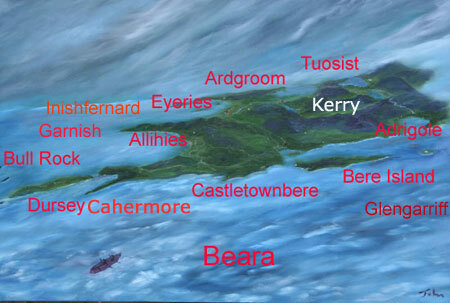 If you live on the Beara Peninsula and would like to sell here, here is what I am offering to you. I will show your product free of charge, giving it publicity. If it sells I will charge you 10% of the item price to cover myself for the PayPal charge and getting the money to you. Yes it also means I keep a small amount for myself. I hope you don't mind.